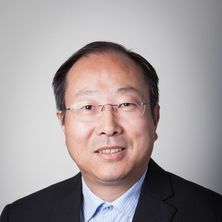 Baojun Zhao is Codelco-Fangyuan Research Fellow with the School of Chemical Engineering at The University of Queensland. He received his B.Sc. in 1986 and M.Sc. in 1989 from Peking University in chemistry and his PhD. in 1999 from The University of Queensland in metallurgy. After receiving his PhD, he started his postdoctoral research fellow at The University of Queensland. He was a senior research fellow before he took the current position at The University of Queensland. His primary fields of research are experimental investigation of physiochemical properties of high temperature melts, i.e., phase equilibria and viscosity of ceramics and metallurgical slags. He has developed a number of novel research techniques to accurately determine phase equilibria and viscosity of complex ceramics and metallurgical slag systems. Dr. Zhao is the author or coauthor of 1 book chapter, 87 referee’s papers and 16 conference papers and presentations. He was awarded the Billiton Gold Medal from Institute of Materials, Minerals and Mining, UK (2009) and the Non-Ferrous Pyrometallurgy Best Paper Award from Metallurgical Society of CIM, Canada (2009). His current research interests are fundamental investigations of phase equilibria and viscosity for complex oxide melts through high temperature reaction, quenching and electron probe X-ray microanalysis. Zhao, Baojun (2013). Effects of Al2O3 and MgO on properties of iron blast furnace slags. In: Xu Lejiang, Proceedings of the Fifth Baosteel Biennial Academic Conference. 5th Baosteel Biennial Academic Conference, Shanghai, China, (334-341). 4-6 June 2013. Zhao, B., Jak, E. and Hayes, P.C. (2009). Investigation and Applications of Phase Equilibria of Ti-containing Blast Furnace Slags. In: Proceedings of: 7th Annual Meeting of the Chinese Society for Metals. 7th Annual Meeting of the Chinese Society for Metals, Beijing, China, (438-442). 10-13 Nov 2009. Zhao, B., Schonewille, R., Jak, E. and Hayes, P. C. (2009). Phase equilibria studies of ferronickel smelting slags. In: Liu, J., Peacey, J., Barati, M., Kashsni-Nejad, S. and Davis, B., Pyrometallurgy of Nickel and Cobalt 2009: Proceedings of the International Symposium. The 48th Conference of Metallurgists, Sudbury, Ontario, Canada, (259-268). 23-26 August 2009. Zhao, B., Jak, E., Hayes, P. C., Font, J. and Moyano, A. (2009). Viscosity and electrical conductivity of copper slag at controlled oxygen potential. In: M. Sanchez, R. Parra, G. Riveros and C. Diaz, Molten 2009: Proceedings of the VIII International Conference on Molten Slages, Fluxes and Salt. VIII International Conference on Molten Slages, Fluxes and Salt, Santiago, Chile, (225-235). 18-21 January 2009. Guo, Xue-Yi, Wang, Qin-Meng, Tian, Qin-Hua and Zhao, Bao-Jun (2016) Analysis and optimization of oxygen bottom blowing copper smelting process. Zhongguo Youse Jinshu Xuebao/Chinese Journal of Nonferrous Metals, 26 3: 689-698. 张殿伟 Zhang, Dian-wei, 赵志星 Zhao, Zhi-xing and 赵宝军 Zhao, Bao-jun (2014) Research on viscosity of Shougang blast furnace slags and synthetic slags. Zhongguo yejin, 24 4: 11-15. Zhao, B. J., Jak, E. and Hayes, P. C. (2009) Fundamental Studies in Ironmaking Slags to Lower Operating Temperatures and to Recover Titania From Slag. Journal of Iron and Steel Research International, 16 Part 2, Supp 2: 1172-1178. 杨钢 (Yang, Gang), 赵宝军 (Zhao, Bao-jun), 王吉坤 (Wang, Ji-kun) and Hayes, Peter (2008) Study of different behaviours between lead-rich slags and sinter during reduction. 有色金屬: 冶煉部份 (You se jin shu: Ye lian bu fen) [Nonferrous Metals: Extractive Metallurgy], 4: 5-7, 15. Zhao, B., Jak, E. and Hayes, P. C. (2006) Microstructures of ISF sinters in air. Canadian Metallurgical Quarterly, 45 3: 261-274. Yang, G., Zhao, B., Wang, J. and Hayes, P. C. (2006) Study on Reduction Behaviours between Lead-rich Slag and Sinters, Nonferrous Metals. Extractive Metallurgy, 4 10-13. Wang, J., Zhao, B., Yang, G. and Hayes, P. C. (2004) Properties and reduction mechanism of lead - rich slags. Nonferrous metals, 2004 6: 4-8. Ma, X., Marl, J., Lee, H. G., Zhao, B., Huang, Z. and Yao, Z. (2018). Correlation of tensile strength and hardness, and effects of heat treatment and alloying of spring steels. In: 7th International Congrss on Science and Technology of Steelmaking, Venice, Italy, (). 13-15 June, 2018. Lyu, S., Ma, X., Wang, G., Zou, J., Lee, H. G., Zhao, B., Huang, Z., Yao, Z. and Jiang, Z. (2018). Critical analysis of non-metallic inclusions in al and Si-deoxidized spring steels. In: ICS 2018 - 7th International Congress on Science and Technology of Steelmaking: The Challenge of Industry 4.0. 7th International Congress on Science and Technology of Steelmaking, ICS 2018, Venice, Italy, (). 13- 15 June, 2018. Chen, M., Contreras, L. and Zhao, B. (2016). Comparison of slag chemistry between teniente converter and flash smelting furnace. In: Proceedings of the 9th International Copper Conference, Kobe, Japan. Copper 2016, Kobe, Japan, (967-975). 13-16 November 2016. Chen, M., Chen, J., Feng, L. and Zhao, B. (2016). Corrosion mechanisms of magnesia-chromite refractory and Cr-free refractory with copper smelting slags. In: Proceedings of the 9th International Copper Conference, Kobe, Japan. Copper 2016, Kobe, Japan, (725-736). 13-16 November 2016. Shui, Lang, Ma, Xiaodong, Cui, Zhixiang and Zhao, Baojun (2016). Fluid Dynamics Studies of Bottom Blown Copper Smelting Furnace. In: Proceedings of the 9th International Copper Conference, Kobe, Japan. Copper 2016, Kobe, Japan, (1171-1183). 13-16 November 2016. Chen, M., Cui, Z., Wei, C. and Zhao, B. (2016). Investigation of the accretions in bottom blown copper smelting furnace. In: Proceedings of the 9th International Copper Conference, Kobe, Japan. Copper 2016, Kobe, Japan, (1184-1194). 13-16 November 2016. Chen, M., Contreras, L. and Zhao, B. (2016). Operation below slag liquidus at teniente converter. In: Proceedings of the 9th International Copper Conference, Kobe, Japan. Copper 2016, Kobe, Japan, (986-996). 13-16 November 2016. Tang, Hai-Yan, Guo, Xiao-Chen, Cheng, Peng-Fei, Liang, Yong-Cang, Li, Jing-She and Baojun, Zhao (2016). Origin and evolution of non-metallic inclusions for ai-killed steel during EAF-LF-VD-CC process. In: 7th International Symposium on High-Temperature Metallurgical Processing - TMS 2016, Nashville, United States, (271-278). 14 February 2016 - 18 February 2016. Liu, H., Cui, Z., Chen, M. and Zhao, B. (2016). Phase equilibria studies of ZnO-containing slags at copper smelting conditions. In: Proceedings of the 9th International Copper Conference, Kobe, Japan. Copper 2016, Kobe, Japan, (1307-1315). 13-16 November 2016. Ma, Xiaodong, Cui, Zhixiang and Zhao, Baojun (2016). Simulation of Copper Matte Settlement in Slags Relevant to Bottom Blown Copper Smelting Furnace. In: Proceedings of the 9th International Copper Conference, Kobe, Japan. Copper 2016, Kobe, Japan, (1148-1158). 13-16 November 2016. Chen, M., Contreras, L. and Zhao, B. (2016). Slag chemistry studies of tenienter converter. In: Proceedings of the 9th International Copper Conference, Kobe, Japan. Copper 2016, Kobe, Japan, (976-985). 13-16 November 2016. Zhao, B., Huang, Z., Yao, Z., Wang, G. and Jiang, Z. (2015). Inclusion control in 55SiCr spring steels. In: The 10th CSM Steel Congress & 6th Baosteel Biennial Academic Conference, Shanghai, China, (). 21-23 October 2015. Ma, Xiaodong, Cui, Zhixiang and Zhao, Baojun (2015). Low Temperature of Smelting Reduction of Nickel Laterite. In: Jiann‐Yang , Hwang Tao, Jiang P. Chris , Pistorius Gerardo , R. F. Alvear , F. Onuralp , Yücel Liyuan , Cai Baojun , Zhao Dean and Gregurek Varadarajan Seshadri, 7th International Symposium on High‐Temperature Metallurgical Processing. The 7th High Temperature Processing Symposium, Melbourne, Australia, (30-33). 2-3 February 2015. Jang, Kyoung-Oh, Ma, Xiaodong, Zhu, Jinming, Xu, Haifa, Wang, Geoff and Zhao, Baojun (2015). Phase equilibria in the “FeO”-CaO-SiO2-Al2O3-MgO system for blast furnace primary slags. In: The 10th CSM Steel Congress & 6th Baosteel Biennial Academic Conference, Shanghai, China, (). 21-23 October 2015. Wang, Dongqing , Chen, Mao , Zhang, Weidong , Zhao, Zhixing and Zhao, Baojun (2015). Softening Behaviors of High Al2O3 Iron Blast Furnace Feeds. In: The 10th CSM Steel Congress & 6th Baosteel Biennial Academic Conference, Shanghai China, (). 21-23 October 2015. Ma, Xiaodong , Xu, Haifa , Zhu, Jinming , Wang, Geoff and Zhao, Baojun (2015). Sulphide Capacity and Sulphur Partition between Blast Furnace Slags and Hot Metal. In: Proceedings of the 10th CSM Steel Congress & the 6th Baosteel Biennial Academic Conference. The 10th CSM Steel Congress & 6th Baosteel Biennial Academic Conference, Shanghai, China, (). 21-23 October 2015. Han, Chen , Chen, Mao , Zhang, Weidong , Zhao, Zhixing , Evans, Tim and Zhao, Baojun (2015). Viscosity Model for Blast Furnace Slags Including Minor Elements. In: The 10th CSM Steel Congress & 6th Baosteel Biennial Academic Conference, Shanghai China, (). 21-23 October 2015. Ma, Xiaodong, Cui, Zhixiang and Zhao, Baojun (2014). Effects of fluxing conditions on copper smelting slag cleaning. In: M. Akbar Rhamdhani and Geoffrey A. Brooks, 6th Annual High Temperature Processing Symposium 2014: Book of Papers and Abstracts. HTP 2014: 6th Annual High Temperature Processing Symposium 2014, Hawthorn, VIC, Australia, (125-127). 3-4 February, 2014. Shui, Lang, Cui, Zhixiang, Ma, Xiaodong, Rhamdhani, M. Akbar, Nguyen, Anh and Zhao, Baojun (2014). Flow dynamics study in bottom blown copper smelting furnace. In: M. Akbar Rhamdhani and Geoffrey A. Brooks, 6th Annual High Temperature Processing Symposium 2014: Book of Papers and Abstracts. HTP 2014: 6th Annual High Temperature Processing Symposium 2014, Hawthorn, VIC, Australia, (82-89). 3-4 February, 2014. Ma, Xiaodong, Wu, Shengli, Zhu, Jinming, Wang, Guoxiong and Zhao, Baojun (2014). Phase equilibria in the CaO-SiO2-Al2O3-MgO system related to iron blast furnace slag. In: M. Akbar Rhamdhani and Geoffrey A. Brooks, HTP 2014: 6th Annual High Temperature Processing Symposium 2014, Hawthorn, VIC, Australia, (90-92). 3-4 February, 2014. Liu, Hongquan, Cui, Zhixiang, Chen, Mao and Zhao, Baojun (2014). Phase equilibrium study of ZnO-"FeO"-SiO2 system at fixed Po2 10-8 atm. In: M. Akbar Rhamdhani and Geoffrey A. Brooks, 6th Annual High Temperature Processing Symposium 2014: Book of Papers and Abstracts. HTP 2014: 6th Annual High Temperature Processing Symposium 2014, Hawthorn, VIC, Australia, (117-124). 3-4 February, 2014. Chen, Mao and Zhao, Baojun (2014). Viscosity measurements for copper smelting slags. In: Proceedings of Nickolas Themelis Symposium on Pyrometallurgy and Process Engineering. Copper 2013: Copper International Conference, Santiago, Chile, (799-811). 1-4 December 2013. Zhao, Baojun, Cui, Zhixiang and Wang, Zhi (2013). Features of the bottom blown oxygen copper smelting technology. In: Copper 2013: Copper International Conference, Santiago, Chile, (PY21.1-PY21.2). 1-4 December, 2013. Ma, Z., Pei, Y., Zhao, B. , Zhao, Z., An, G., Pan, W. and Zhao, Y. (2013). In-situ observation and study of high temperature properties of iron ore powder and application in optimizing sintering ore matching of Jingtang. In: 13th China Iron Making Raw Material Symposium, Yanji, China, (). August 2013. Zhao, Baojun (2013). Phase equilibria studies for copper smelting/converting slags. In: Copper 2013: Copper International Conference, Santiago, Chile, (PY54.1-PY54.1). 1-4 December, 2013. Chen, Mao, Zhang, Dianwei, Zhao, Zhixing and Zhao, Baojun (2013). Viscosities of blast furnace slags. In: The 4th Australia-China-Japan Joint Symposium on Iron and Steelmaking. 4th Australia-China-Japan Joint Symposium on Iron and Steelmaking, Shenyang, China, (110-117). 3-6 November 2012. Zhao, Baojun (2013). Viscosity measurements for copper smelting slags. In: Copper 2013: Copper International Conference, Santiago, Chile, (PY22.1-PY22.1). 1-4 December, 2013. Ren, S., Zhang, J., Xing, X., Chen, M. and Zhao, B. (2013). 改性剂对高钛高炉渣富钛相析出行为的影响. In: 2013年全国博士生学术论坛（冶金工程）论文集. 2013年全国博士生学术论坛（冶金工程）, Shenyang, China, (364-369). 25-27 October 2013. Pei, Yuandong, Zhao, Baojun, Zhao, Zhixing and An, Gang (2012). In situ observation of high temperature properties of iron ore and its application in optimizing sintering ore matching of Shougang Jingtang. In: Asia Steel International Conference 2012 (Asia Steel 2012), Beijiing, China, (). 24-26 September 2012. Zhao, Baojun, Zhang, Dianwei, Zhao, Zhixing, Jak, Evgueni and Hayes, Peter (2012). Liquidus temperatures and viscosities of Shougang iron blast furnace slags. In: Proceedings of the Ninth International Conference on Molten Slags, Fluxes and Salts (MOLTEN12). Ninth International Conference on Molten Slags, Fluxes and Salts (MOLTEN12), Beijing, China, (). 27-30 May 2012. Hou, Xinmei, Zhao, Baojun and Chou, Kuo-Chih (2012). Reduction kinetics of lead-rich slag with carbon in the temperature range of 1073 to 1473K. In: Proceedings of the Ninth International Conference on Molten Slags, Fluxes and Salts (MOLTEN12). Ninth International Conference on Molten Slags, Fluxes and Salts (MOLTEN12), Beijing, China, (). 27-30 May 2012. Chen, Mao, Zhao, Baojun and Jak, Evgueni (2012). Viscosity measurements of high “Cu2O” containing slags in the “Cu2O”-SiO2-Al2O3 system in equilibrium with metallic Cu. In: Proceedings of the Ninth International Conference on Molten Slags, Fluxes and Salts (MOLTEN12). Ninth International Conference on Molten Slags, Fluxes and Salts (MOLTEN12), Beijing, China, (). 27-30 May 2012. Zhao, B. and Hayes, P.C. (2010). Effects of Oxidation on the Microstructure and Reduction of Chromite Pellets. In: Asmo Vartianen, Proceedings of the Twelfth International Ferroalloys Congress : Sustainable future. The Twelfth International Ferroalloys Congress, Helsinki, Finland, (263-273). 6-9 June 2010. Zhao, B., Nexhip, C., George-Kennedy, D.P., Hayes, P. and Jak, E. (2010). Effects of SiO2, A12O3, MgO and Na2O on spinel Liquidus in calcium ferrite slags with Cu and fixed Po2. In: GDMB, Paul-Ernst-Straße and Clausthal-Zellerfeld, Copper : Indicator of the progress of civilisation. Proceedings of Copper 2010. 7th International Copper-Cobre Conference 2010, Hamburg, Germany, (1297-1312). 6-10 June 2010. Jak, E., Zhao, B., Nexhip, C., George-Kennedy, D.P. and Hayes, P. (2010). Liquidus temperature in calcium ferrite slags in Ca2Fe2O5 and Ca2SiO4 primary phase fields with Cu and fixed Po2. In: GDMB, Paul-Ernst-Straße and Clausthal-Zellerfeld, Copper : Indicator of the progress of civilisation. Proceedings of Copper 2010. 7th International Copper-Cobre Conference 2010, Hamburg, Germany, (811-821). 6-10 June 2010. Zhao, B., Hayes, P.C. and Jak, E. (2010). Phase equilibria studies in zinc-containing systems and applications to lead and zinc blast furnace slags. In: A. Siegmund, L. Centomo, C. Geenen, N. Piret, G. Richards and Ralph I. Stephens, PbZn 2010 : Papers originally presented at Lead-Zinc 2010. Lead-Zinc 2010, Vancouver, Canada, (603-614). 3-6 October 2010. Zhao, Baojun, Jak, Evgueni and Hayes, Peter C. (2009). Fundamental Studies in Ironmaking Slags to Lower Operating Temperatures and to Recover Titania from Slag. In: Proceedings of the 5th International Congress on the Science and Technology of Ironmaking. International Congress on the Science and Technology of Ironmaking - ICSTI 09, Shanghai, China, (1172-1178). October 2009. Zhao, B., Jak, Evgueni and Hayes, P. C. (2009). High temperature viscosity measurements for slags at controlled oxygen potential. In: Molten 2009: Proceedings of the VIII International Conference on Molten Slages, Fluxes and Salt. VIII International Conference on Molten Slages, Fluxes and Salt, Santiago, Chile, (183-194). 18-21 January 2009. Zhao, B., Jak, E. and Hayes, P. C. (2009). Phase equilibria studies in the slag system TiOz-CaO-MgO-A12O3-SiO2 at saturation. In: Sanchez, M., Parra, R., Riveros, G. and Diaz, C., Molten 2009: Proceedings of the VIII International Conference on Molten Slages, Fluxes and Salt. VIII International Conference on Molten Slages, Fluxes and Salt, Santiago, Chile, (71-80). 18-21 Janurary 2009. Zhao, B., Errington, B., Jak, E. and Hayes, Peter C. (2008). Gaseous reduction of isasmelt lead slag and lead blast furnace sinters. In: The Southern African Institute of Mining and Metallurgy, International Symposium on Lead and Zinc Processing. International Symposium on Lead and Zinc Processing, South Africa, (133-145). 25-29 February 2008. Zhao, B., Burrows, A., Jak, E. and Hayes, P.C. (2008). Microstructures and softening behaviours of lead sinters and their correlation to sintering temperatures in Mount Isa lead smelter. In: Centromo, L., Collins, M.J., Harlamovs, J. and Liu, J., Zinc and Lead Metallurgy: Proceedings of the 47th Annual Conference of Metallurgists August 24-27, 2008, Winnipeg, Manitoba, Canada. COM 2008 Winnipeg Conference of Metallurgists, Canada, (41-52). 24-27 August 2008. Zhao, B., Jak, E. and Hayes, P. C. (2008). Phase equilibria studies in ironmaking slags to lower energy consumption and carbon dioxide emissions. In: Z. H. Xu, Y. H. Wang and X. Y. Hou, Proceedings of the 2nd Australia-China Symposium on Science, Technology and Education. The 2nd Australia-China Symposium on Science, Technology and Education, Gold Coast, Qld, Australia, (81-81). 15-18 October, 2008. Jak, E., Nikolic, S., Zhao, B., Henao, H. M. and Hayes, P.C. (2007). Experimental investigations of phase equilibria for copper smelting and converting silicate slags in the "Cu2O" -FeO-Fe2O3-CaO-SiO2 system at controlled oxygen partial pressures. In: A.E.M. Warner, C.J. Newman, A. Vahed, D.B. George, P.J. Mackey and A. Warczok, Copper 2007 - Cu2007 Series - Volume 3 Bk 1 - The Carlos Diaz Symposium on Pyrometallurgy. The Carlos Diaz Symposium on Pyrometallurgy, Toronto, Canada, (93-112). 25-30 August 2007. Jak, E., Zhao, B., Nikolic, S. and Hayes, P. C. (2007). Experimental measurement and prediction of complex phase equilibria in industrial non-ferrous slag systems. In: Ulrich Waschki, Proceedings of EMC 2007. European Metallurgical Conference, EMC 2007, Dusseldorf, Germany, (1789-1818). 11-14 June 2007. Kondratiev, A., Zhao, B., Raghunath, S., Hayes, P. C. and Jak, E. (2007). New tools for viscosity measurement and modelling of fully liquid and partly crystallised slags. In: Ulrich Waschki, Proceedings of EMC 2007. European Metallurgical Conference (EMC 2007), Dusseldorf, Germany, (953-974). 11-14 June 2007. Zhao, B., Ganguly, S., Jak, E. and Hayes, P. (2007). Phase equilibria in K2O-containing manganese smelting slags. In: Proceedings 11th International Ferro Alloys Congress. Eleventh International Ferroalloys Congress (INFACON XI), New Delhi, India, (358-368). 18-21 February 2007. Zhao, B., Jak, E. and Hayes, P. C. (2006). Phase equilibria in the system TiOx-CaO-MgO-Al2O3-SiO2 at carbon saturation. In: Proceedings 4th International Congress on the Science and Technology of Ironmaking (ICSTI). ICSTI 2006, Osaka University Convention Center, Japan, (460-463). 26-30 November, 2006. Zhao, B., Jak, E. and Hayes, P. C. (2006). The effect of titania on the iron blast furnace slag liquidus temperatures at carbon saturation. In: Proceedings of the 1st Australia-China-Japan Symposium on Iron and Steelmaking. 1st Australia-China-Japan Symposium on Iron and Steelmaking, Shenyang, China, (75-84). 24 - 26 September, 2006. Zhao, B., Jak, E., Hayes, P., Yang, G., Wang, J., Dong, Y. and Errington, B. (2005). Characteristics of ISASMELT slag and lead blast furnace sinters. In: Toshiharu Fujisawa, Lead & zinc '05 : proceedings of the International Symposium on Lead and Zinc Processing. Lead & Zinc '05 International Symposium, Kyoto, (571-586). 17-19 October, 2005. Zhao, B., Jak, E., Hayes, P., Holliday, R. and Lee, R. (2005). Improvements in ISF performance through sinter structure and slag optimisation. In: Lead & zinc '05 : proceedings of the International Symposium on Lead and Zinc Processing held 17-19 October, 2005, Kyoto, Japan. Lead & Zinc '05 International Symposium on Lead and Zinc Processing, Kyoto, Japan, (1459-1474). 17-19 Oct 2005. Zhao, B., Jak, E. and Hayes, P. C. (2004). Experimental investigation of liquidus temperatures of ISP slags. In: International conference on molten slags, fluxes and salts. International conference on molten slags, fluxes and salts, Cape Town, South Africa, (243-248). 25-28 January 2004. Zhao, B., Jak, E. and Hayes, P. C. (2004). Phase equilibria in high MgO ferro- and silico-manganese smelting slags. In: Proceedings: Tenth International Ferroalloys Congress. Tenth International Ferroalloys Congress (INFACON X), Cape Town, South Africa, (184-193). 1st - 4th February, 2004. Zhao, B., Jak, E. and Hayes, P. C. (2002). Application of phase equilibria to predict the softening behaviour of isp sinters. In: Proceedings of the 4th Australian Melt Chemistry Symposium. 4th Australian Melt Chemistry Symposium, Melbourne, (). 10-11 December, 2002. Zhao, B., Jak, E. and Hayes, P. C. (2002). Initial softening behaviour of ISP sinter. In: Pen Jinhui and Ma Keyi, ICHNM’2002 A New Century International Conference on Metallurgical High Technology and Materials of Heavy Nonferrous Metals. International Conference on Metallurgical High Technology and New Materials of Heavy Nonferrous Metals, ICHNM 2002,, Kunming, China, (593-600). 3-5 April 2002. Jak, Evgueni, Hayes, Peter and Zhao, Baojun (2000). Phase equilibria and thermodynamics of zinc fuming slags. In: MINPREX 2000. MINPREX 2000, Melbourne, (479-484). 11-13 September 2000. Jak, Evgueni, Zhao, Baojun and Hayes, Peter (2000). Phase equilibria in the system FeO-Fe2O3-A12O3-CaO-SiO2, with applications to non-ferrous smelting slags. In: S. Seetharaman and D. U. Sichen, 6th International Conference on Slags, Fluxes and Molten Salts. 6th International Conference on Slags, Fluxes and Molten Salts, Stockholm/Helsinki, (239-247). 12th - 17th June, 2000. Jak, E., Degterov, S., Zhao, B., Pelton, A. D. and Hayes, P. C. (1999). Coupled experimental and thermodynamic modelling studies for metallurgical smelting and coal combustion slag systems. In: Milton Blander symposium. “The Milton Blander Symposium on Thermodynamic Predictions and Applications” at the TMS Annual Meeting, San Diego, California, (). 1-2 March, 1999. Jak, E., Degterov, S., Zhao, B., Pelton, A. D. and Hayes, P. C. (1998). Coupled experimental and thermodynamic modelling study of the system PbO-ZnO-FeO-Fe2O3-CaO-SiO2-Al2O3 for lead and zinc smelting. In: J. E. Dutrizac, J. A. Gonzalez, G. L. Bolton and P. Hancock, Proceedings of the International Symposium on Zinc and Lead Processing. International Symposium on Zinc and Lead Processing, Calgary, Canada, (313-333). 16-19 Aug 1998. Jak, E., Zhao, Baojun and Hayes, P. C. (1998). Phase equilibria studies on zinc and lead slags and sinters (the system PbO-ZnO-FeO-Fe2O3-CaO-SiO2-Al2O). In: Proceedings of the Imperial Smelting Process Conference. The Imperial Smelting Process Conference, Bristol, UK, (). June 1998. Jak, E., Zhao, B. and Hayes, P. C. (1997). Experimental determination of phase equilibria in lead/zinc smelting slags and sinters. In: Proceedings of the Fifth International Symposium on Metallurgical Slags and Fluxes. The Fifth International Symposium on Metallurgical Slags and Fluxes, Sydney, Australia, (719-726). 1997. Jak, E., Liu, N., Zhao, B., Lee, H. G. and Hayes, P. C. (1995). Liquidus in the system PbO-CaO-SiO2. In: Proceedings of the Second Australian Melt Chemistry Symposium. The Second Australian Melt Chemistry Symposium, Melbourne, Australia, (1-2). 16th - 17th Feb 1995. Jak, E., Zhao, B., Harvey, I. and Hayes, P. C. (1995). New experimental studies on zinc and lead slags and sinters. In: Proceedings of the Imperial Smelting Process Conference. Imperial Smelting Process Conference 1995, India, (). 1995. Zhao, Baojun (1999). Phase equilibria for copper smelting and lead/zinc reduction slags PhD Thesis, School of Engineering, The University of Queensland.